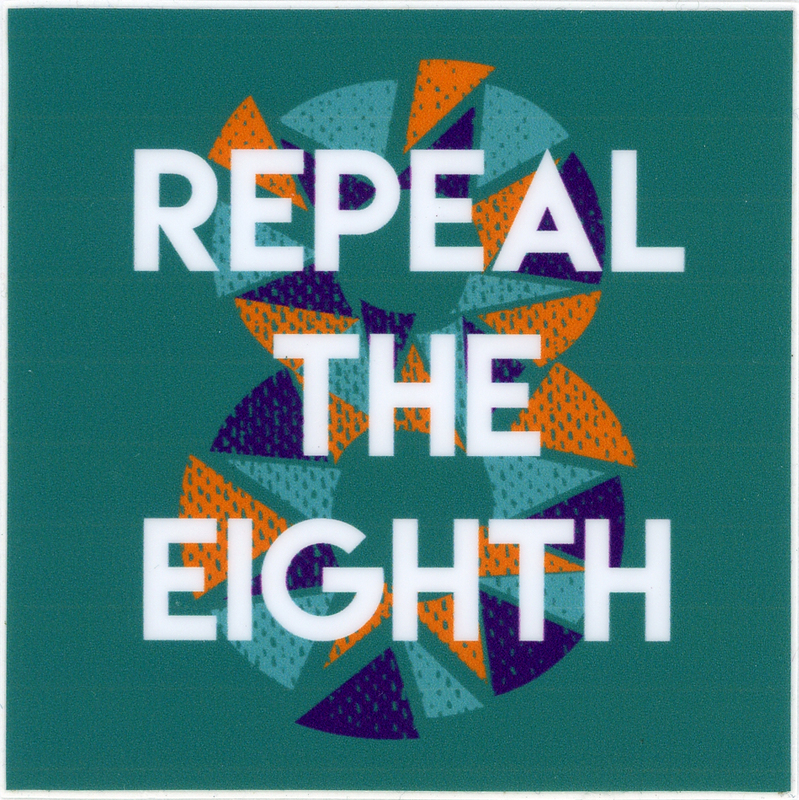 “8 -- Repeal the Eighth” on this sticker refers to abortion rights in Ireland. Since 1983, receiving an abortion anywhere in Ireland, including both the Republic and Northern Ireland, is illegal unless the pregnancy threatens the mental or physical health of the mother. The Eighth Amendment of the Constitution is the piece of legislature that equates the right to life of the unborn fetus with the right to life of the mother, making abortion unlawful. A referendum to repeal the Eighth Amendment is scheduled for May 2018. Buttons and stickers like this from Ireland’s Abortion Rights campaign were sold at a “Feminism & Islam” film reading and discussion sponsored by the Galway Feminist Collective; proceeds went to the Galway Pro-Choice campaign group. The event was one of the many during “The F Word: Galway Feminist Festival” which took place during December 7-10, 2016. A second Galway Feminist Festival was held during July 5-9, 2017.